So as some of you know I love to colour my hair. I am madly in love with red hair but sometimes the upkeep can be a bit too much. My hair is naturally brown but can go a little auburn in the summer, which I love, I wish I had been born auburn its such a gorgeous colour. I have used other hair colours before but I wanted something that would be relatively easy to upkeep and that if I was unable to you wouldn't notice my roots majorly. 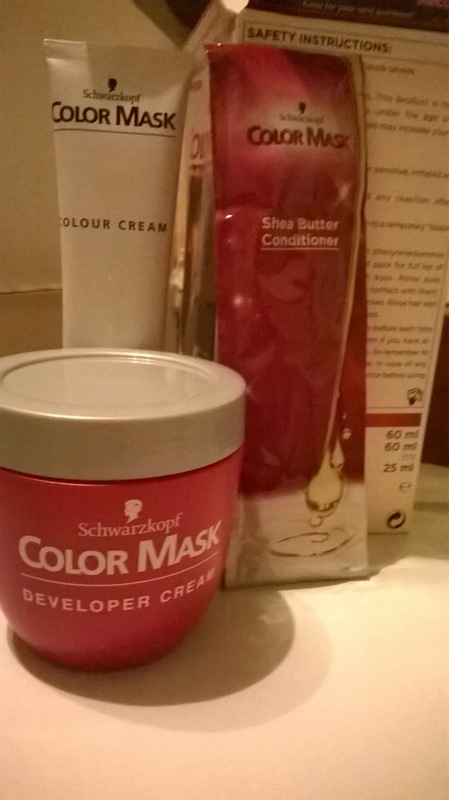 I decided to go for the Schwarzkopf Colour Mask, in 586 Warm Mahogany. I have been looking at this colour for so long, it is so nice and I love that it has the red in the brown but it is darker then straight red. 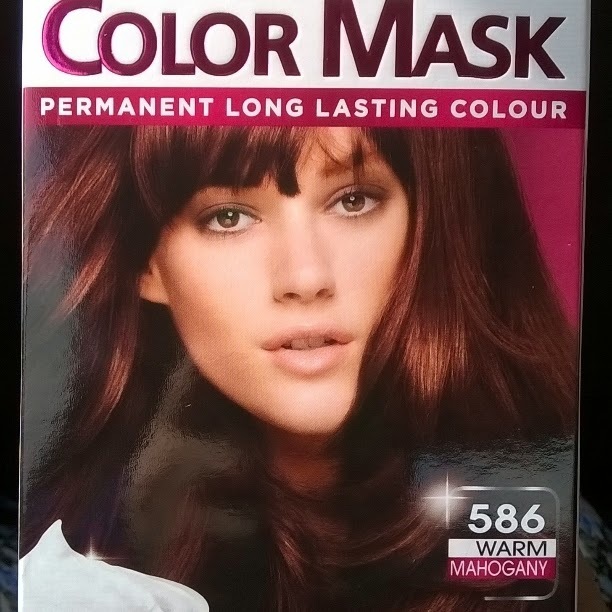 Being a colour mask I thought this would be a much easier colour to apply to my hair, it was so easy to put together, you get your normal tube of colour, and then the tub of the mask, you put them together in the tub and shake well. As normal you get your conditioner too which I always love since it makes me hair all nice and shiny. 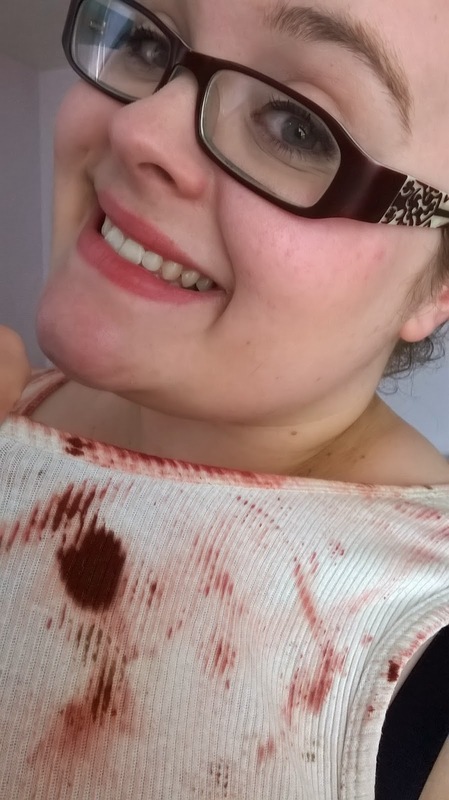 As I said before I have coloured my hair a lot and I have my lovely hair dying top, which is covered in hair dye, but I love it, its comfy and sleeveless which means it is easier to put the colour on with. So when I decided to do my hair I grabbed it and started. I will say that if you are going to colour your hair please remember that you will need to do an allergy test before, the last thing you want is to think your fine and then have an allergic reaction, so please guys remember to do your test. I mixed it all together and then I started, I sectioned my hair off down the middle and applied it root to tip each section. The smell is very strong so I would suggest to do this in a room with a window, I didn't and I paid for it after with a huge headache. I found this quiet a hard mix to work with, the tub is small so its hard to get your fingers in with the gloves on and get a good amount. I found it was very gloppy and dripped a lot, which considering it is a mask you wouldn't think it would be. I am normally really good and can apply my hair colour without having huge problems with colour on my skin but this went everywhere, all over my face, my neck, my chest, and somehow on my nose, don't ask how I have no idea. Like I said I have never had this before. Once my hair was totally covered I scrubbed my face for a while but it was still not coming off, once the 30 minutes was up, I washed the colour out and used the conditioner, which made it all silky and smooth. 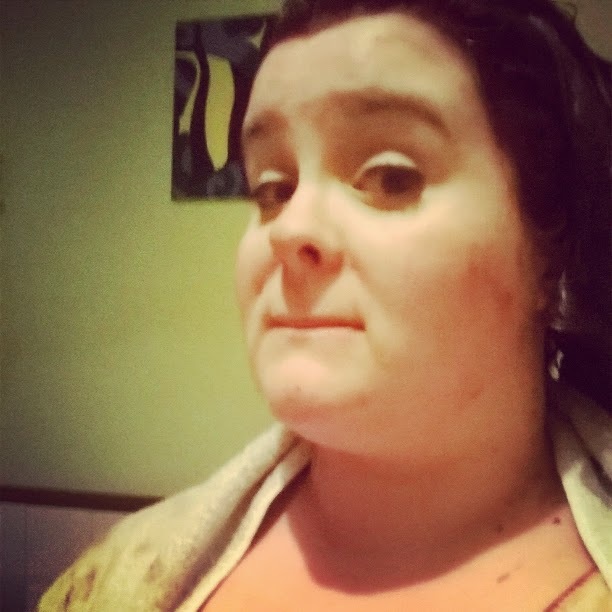 I tied my hair up and I get into a bath where I managed to scrub off the colour on my face and chest (thankfully since I had work the next day). 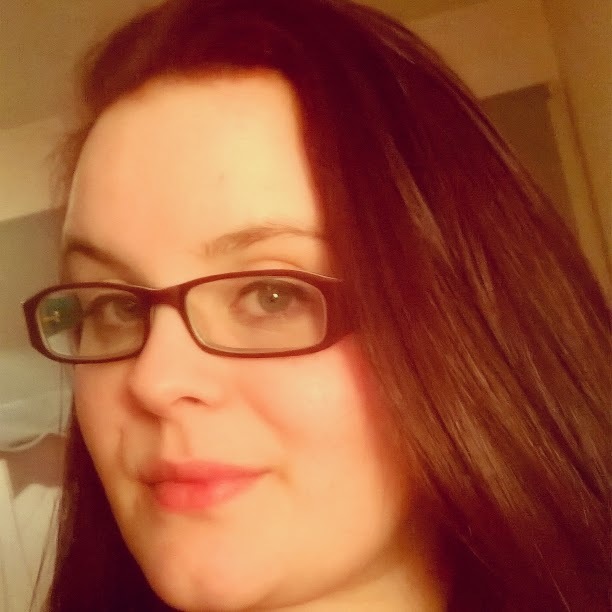 Once my hair was dried and straightened it looked amazing, the colour was exactly what I wanted and it was so silky and smooth and smelt really nice. After everything I was very happy with the overall look of colour which still looks really nice and vibrant now even though it has been about 2 weeks, but that might be the shampoo I use but it still really does look good. My only downside is the consistence of the mask I didn't like the design of the tub which made it hard for me to get the product out, I also didn't like it being so runny and easy to drop off your hands. Like I said I love the colour but I am unsure whether I will use it again because of how hard it is to handle.